Use the following procedure to enable multi-factor authentication for a user account. Please note that this feature is in preview. 1. 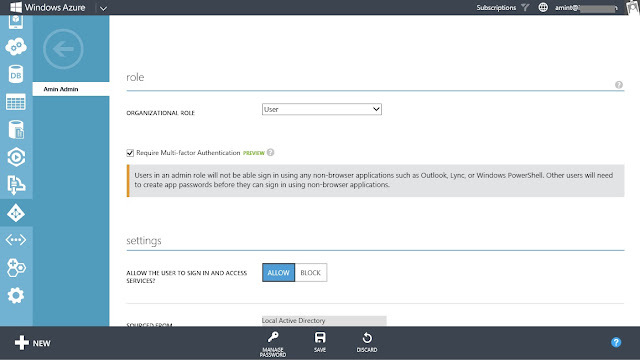 Login to Windows Azure Management Portal. 2. Click Active Directory, and then click Directory. 3. 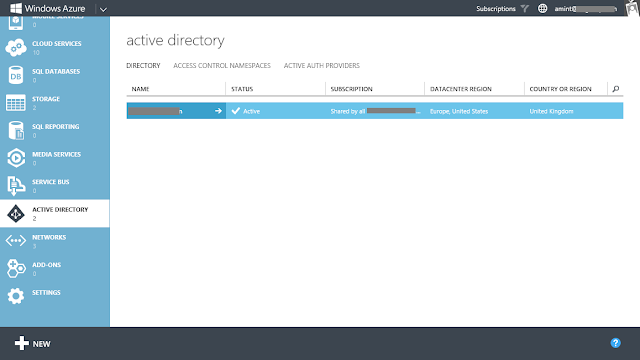 Click on your Windows Azure AD tenant. 4. Click on the Users tab. 5. On the Users page, search for the user you want to enable 2FA for and click on it. 6. Under role, select the Require Multi-factor Authentication check box. When you select this option, the user must use a phone or another device and their password each time they need to sign in. Please be aware that once multi-factor authentication is enabled on a user account, that user must complete the auto-enrollment when signing in. This will occur the first time the user signs in after the account has been enabled for multi-factor authentication. Until the user has done this, multi-factor authentication will not be enabled on the account.